A political commentator, who got an opportunity to visit the chief ministerial bungalow of Rabri Devi, doubted Tejashwi Yadav’s capability to become a good cricketer. He keenly watched the school-boy’s batting in his lawn. “The problem with him was that though he was playing well, he seldom got chance to play outside in the field and face a variety of bowlers. Besides, the visitors would cheer and applaud him, rather than critically point out his shortcomings as they wanted to be counted in the good book of his parents,” the political commentator observed. Though Tejashwi later went out of Patna and got coached, perhaps it was a bit late. Yet he managed to reach the IPL level. Cricket is, no doubt, a ‘gentleman’s game’ where a couple of centuries back aristocrats would prefer to be batsmen and bowlers would usually come from the working class. The rules were generally loaded in favour of the batsmen. It was much later that a sort of balance was introduced. Even today we have bowlers coming from lower middle class families such as Umesh Yadav, Irfan Pathan, Mohammad Aamir etc. On cricketing pitch Tejashwi might, at least in the initial years, not have faced a variety of bowlers. But in the field of politics he had to face nasty bouncers, googlies, yorkers etc. There will be a hell lot of commentators out to pick holes after each delivery. He needs to bat straight––each ball according to its merit––and keep the scoreboard moving. Tejashwi actually had to play his maiden innings in the mid-night version of the game. On the intervening night of July 26-27 he led a team of RJD leaders to Raj Bhawan hours after chief minister Nitish Kumar resigned. 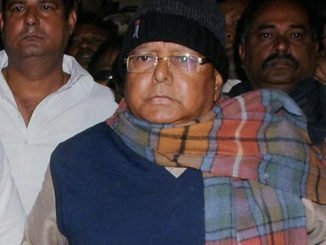 Coming out he addressed a Press conference all alone as his father was on way to Ranchi to appear in the CBI court. A day later, in his new avatar as the leader of opposition, he was seen negotiating all sorts of ferocious deliveries, especially from the duo of Nitish Kumar and Sushil Kumar Modi. He was aware that in this era of IPL, players do change sides. As a debutant he played well yet he needs some improvement. There is absolutely no scope for one-match wonder in politics, which is a different ball game. The first 20 months––from November 20 2015 to July 26, 2017––was just like batting in the lawn of his mother’s bungalow. 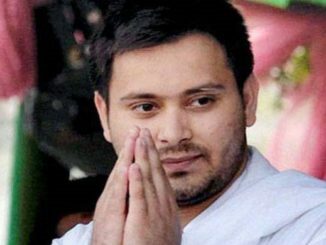 Even today Tejashwi often retires to play cricket. But he will have to play the real cricket on the foreign pitches. He needs to excel in all forms of the game as an all-rounder––even agile enough to keep wicket in times of crisis. Born on November 9, 1989, the day Berlin Wall came down, one does not only expect him to hit boundaries, but demolish many––if he wishes to reach out. His ‘janambhoomi’ and ‘karambhoomi’, Patna, has so far hosted only two One-Day Internationals––both during his father’s years as the chief minister. The first one on November 15, 1993 (Sri Lanka vs Zimbabwe) and the second, a World Cup match on February 26-27, 1996 between Zimbabwe and Kenya––it was extended to second day due to rain. 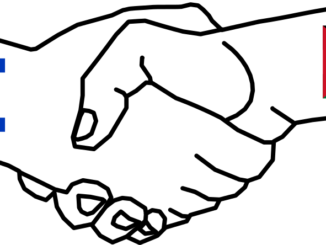 The other cricketing venue for international matches in Bihar then was Keenan Stadium, Jamshedpur, which after November 15, 2000 became a part of Jharkhand. Tejashwi was too tender to have any memory of those matches. With the spread of cricket many new venues have come up but much ‘developed’ Patna has been overlooked. It is up to those at the helm of affairs to explain why. Anyway politically Patna once again became an attractive destination with hordes of journalists from all over the country, and abroad, coming down to witness a match, which many suspect was previously fixed.